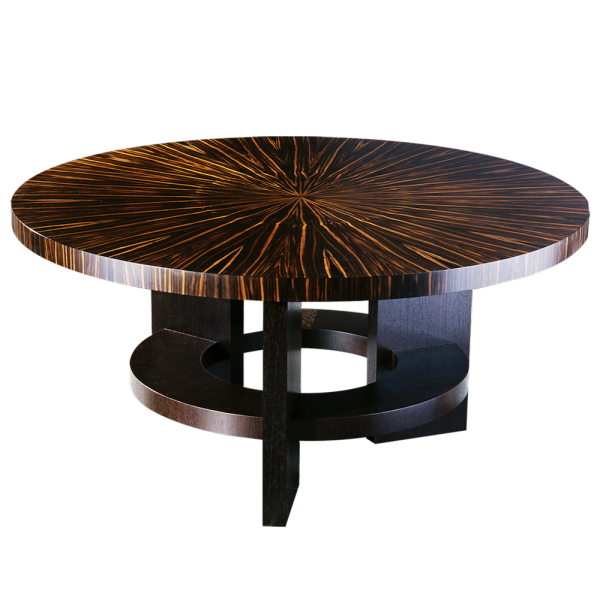 The Fifth Avenue Dining Table has a beatiful radial matched veneer top. 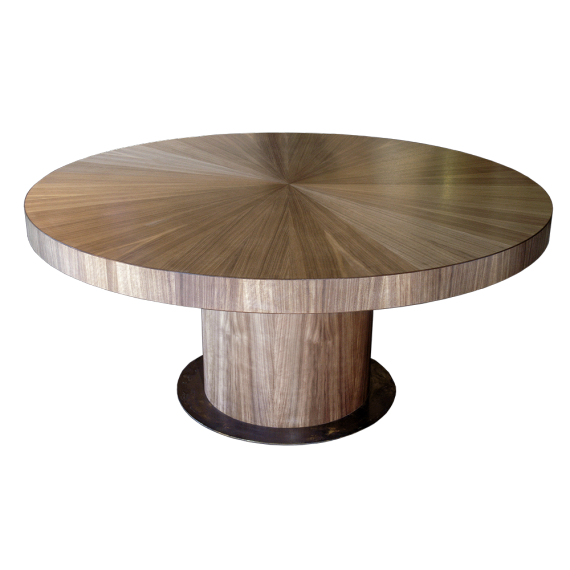 The twisted contrast of grain leaning into a centre point is one of the most beautiful features of the table. The Tri-legged base not only adds another element to the table, but creates a very practical yet beautiful looking sculptural element to the round dining table. 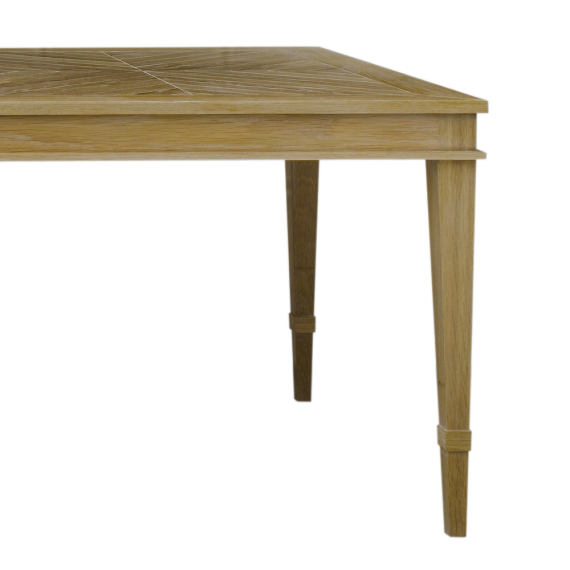 Reminiscent of the deco period and New York apartment styling. 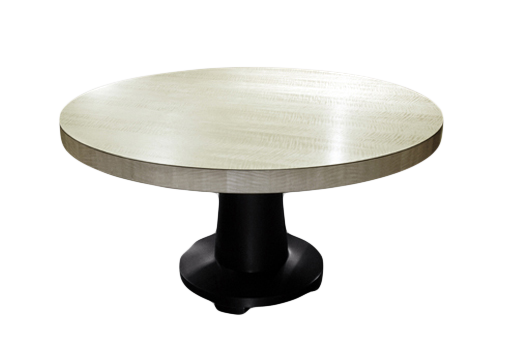 Comfortable to sit even and uneven numbers of guests with high quality materials and veneer used, allowing you to fully enjoy this table. Custom options in materials and sizing are available.